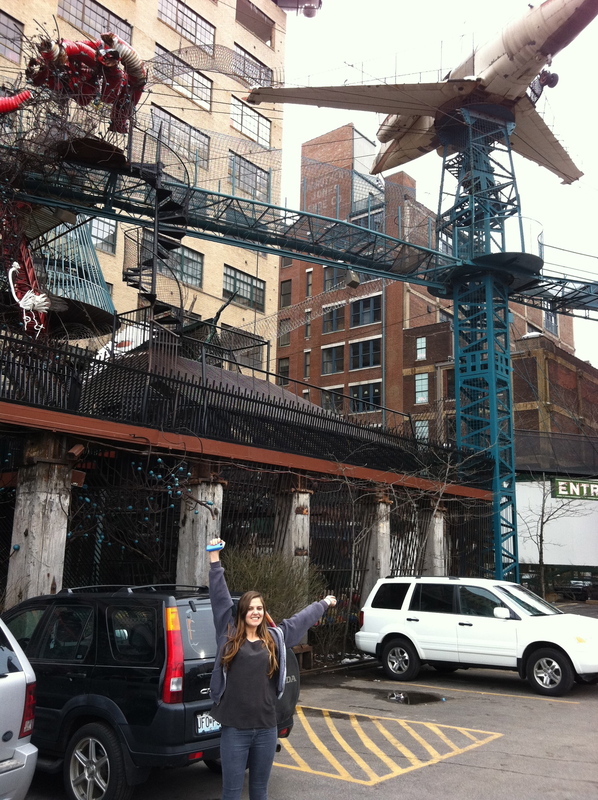 The City Museum is something truly indescribable. While it is partly a museum, it is also part play playground, part sculpture, part event center, part aquarium, part shoelace factory, part thrift shop, and much more. My first trip to the City Museum was just after Halloween in 2010 and I was lucky enough to meet the founder, the late Bob Cassily. He offered me the opportunity to throw pumpkins off the roof of the 11 story museum. 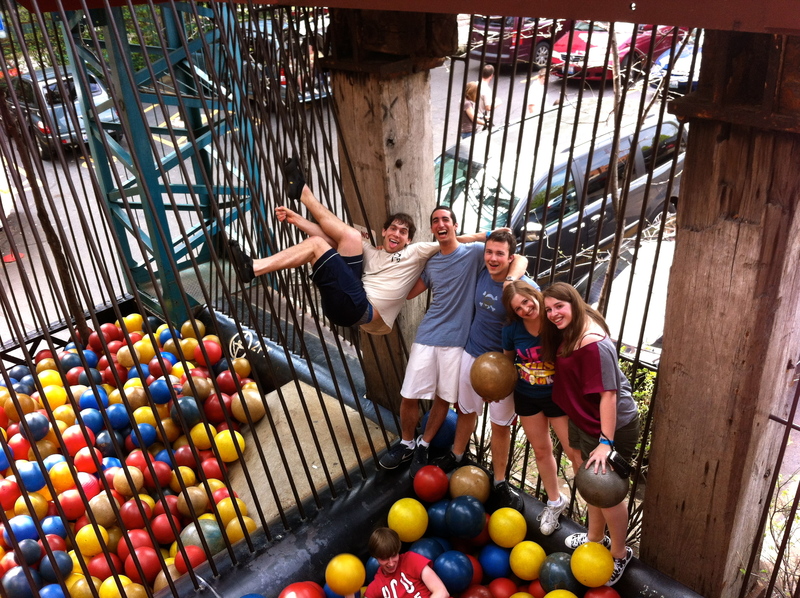 This experience speaks to the whimsicality of the City Museum- the people who run it and the staff seem to do whatever it takes to maximize the amount of fun. 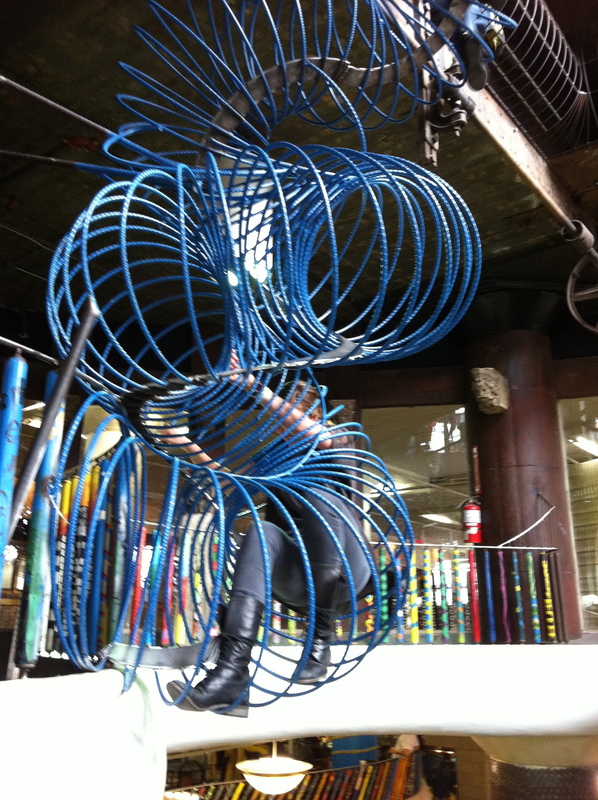 Usually when I visit the City Museum, I first visit the outside section, which is only open during warm weather. The 4-story structure, made of random structures purchased by Bob Cassily, including 2 airplanes, trolley carts, a medieval stone tower, and a fire truck, is certainly the strangest jungle gym I have ever seen. Despite all the heavy machinery and the large heights, the structure is unbelievably safe and childproof. Another highlight of the City Museum is the 10 story slide in the cave section of the museum. Before the City Museum was the City Museum, it was a cement factory and the 10-story slide and its 5 story cousin are both made from cement chutes. Also of note in the City Museum is the world’s largest pencil on the 3rd floor. 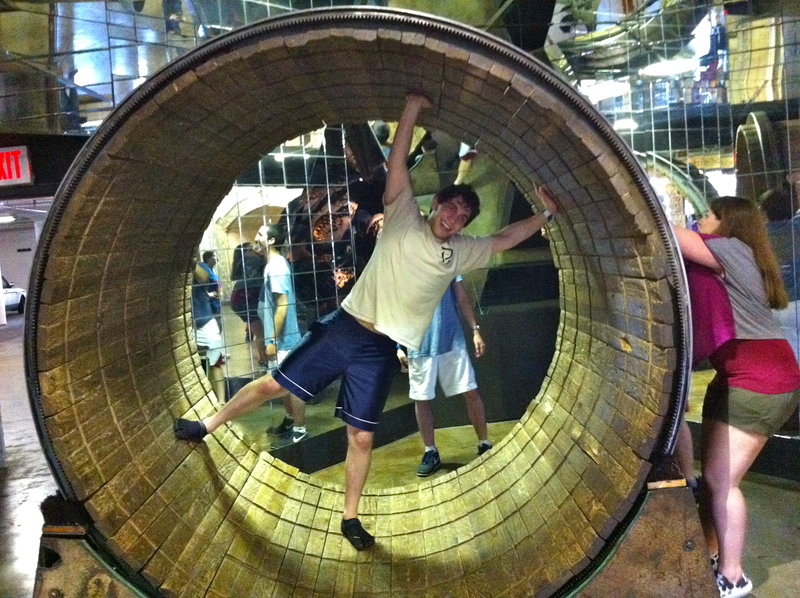 While I could ramble about all the amazing features of the City Museum, it is best to experience on one’s own.